03-15-09—Long before there was the Renegade Gardener, there was Mike McGrath. After meeting Mike at a home and garden show last month in Philadelphia, where we shared a stage for three days, and hearing his wonderful, witty presentations to the public, I think it’s safe to say that long after the Renegade Gardener is writing lurid romance novels under the pen name Donna Britt, there will be Mike McGrath. And he’ll still be the gardening expert’s expert. He and I bonded, in a manly, plutonic, two-guys-in-a-pickup-drinking-beer sort of way, I guess due to our similar ages, shared passion for gardening, and pronounced tendencies to rant gleefully against the misleading tomfoolery foisted on the public by certain factions of the gardening industry anytime someone clips a live microphone to our lapels. We could have been twins separated at birth. Of course, one of us went on to become the editor-in-chief of Organic Gardening magazine, during his tenure (1991-1997) turning what was a small, editorially floundering lifestyle magazine into the most successful, highest-circulation gardening magazine in America (and it sure wasn’t me). But long before either of us knew that ketchup came from tomatoes, we were both attracted to creative, rebellious occupations outside of the mainstream that allowed for artistic freedom, sleeping late, and never wearing a coat and tie. While I was playing in rock bands, Mike was an editor at Marvel Comics. He joined Pennsylvania-based Rodale Publishing in 1984, hoping to help give direction to the then-rudderless and financially strained Organic Gardening. “I hated Organic Gardening then. It was about save the whales, Martha Stewart, dead stuff in baskets,” says Mike. Assigned instead to the meager, 16-page newsletter Men’s Health (“just pages of endless bullets,” recalls Mike), he quickly turned it into a real magazine, featuring book excerpts, feature articles, and most endearing to readers, informative and humorous columns mysteriously written by someone named Dr. Private Parts. It wasn’t until 1991 that Mike got his shot as editor-in-chief of Organic Gardening, giving the publication a clear focus and friendly, folksy voice that hit home with readers. It’s fair to say that Organic Gardening in the ‘90s did more to spur the American homeowner’s interest in growing vegetables, lawns and garden plants without the use of synthetic chemical fertilizers, pesticides and fungicides than anything else. “I talk to gardeners about gardening, and provide completely accurate information in very common, human terms, and tell terrible jokes in the middle of it all,” explains Mike, always true to his irreverent, renegade roots. 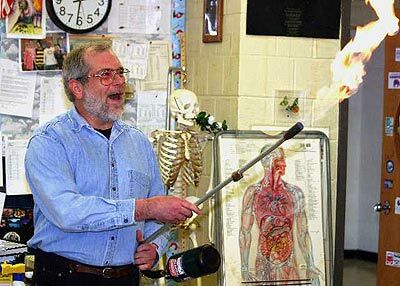 Mike speaks frequently at schools and universities, where he has a knack for gaining students’ attention. But American homeowners won’t accept that kind of behavior. “A lawn wants to go dormant for 15 minutes in July, Americans call the police. What we’re told to do by the fertilizer companies is hit it with another dose of fertilizer and water, slap it awake, and walk it around the room 16 times,” says Mike. More furious note-taking. Nowhere in the country is it wise to give a lawn even three applications of fertilizer per year, he continues, and repeats the key piece of advice: feed your lawn based on variety, not location. For fertilizer, Mike recommends corn gluten, an organic compound found as the principle ingredient in a number of brands of crabgrass pre-emergent. If crabgrass is a problem, apply the corn gluten-based product as soon as the soil hits 55 degrees four to six inches deep (buy a soil thermometer), or the same time as the forsythia bloom. 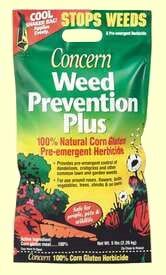 Corn gluten lawn treatments can be found at most nursery centers. So use it as your spring fertilizer even if crabgrass isn’t a problem, applying it as soon as you see your lawn exhibiting its first signs of growth. Apply a second application in mid-fall. Just as I have noted numerous times in articles on this site, Mike rails against mowing your lawn too short. “Three inches after mowing, that’s the height you want your lawn to be,” says Mike. “Let it grow to four, maybe five inches, then mow it back to three.” The longer height helps shade the soil, retaining more moisture between watering, and helps the grass plants develop deeper, healthier root systems, to withstand heat and shorten the mid-summer dormancy period. All this, mind you, was from just the lawn portion of one of Mike’s talks. There’s plenty more where that came from, and plenty of ways to access Mike’s fountain of knowledge. He is the author of numerous books, including Kitchen Garden A to Z, You Bet Your Tomatoes, and Mike McGrath’s Book of Compost. He currently hosts the nationally syndicated radio show, You Bet Your Garden (available as Podcast). And here’s a link to his informative website: www.youbetyourgarden.org.